What are you y(earning) for? The Muffia is a performance art group which expresses its political ideas through live art performances, street interventions, presentations and workshops. The Muffia aim to provoke a questioning of cultural norms on the themes of gender, identity, ethnicity, and the body, often using comedy to present its ideas as this has proven to be a great way to engage with people. 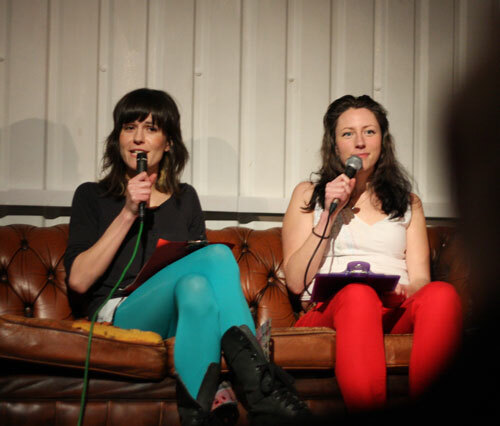 The Muffia began in 2008 when Katie O’Brien and Sinead King began taking their political ideas to the streets of London and Manchester. This was the easiest way to access audiences that don’t normally interact with live art. Performances have since been presented in theatres and various performance spaces, specifically for feminist conferences and festivals. The Muffia has also featured in The Guardian and on BBC radio. The Muffia always intend to implement change, deconstructing social norms and strive to allow an opportunity and space for questioning, challenging ideas in popular culture through political protest, performances and workshops. Our current project ‘The EveryBody project’ was born out of this desire to challenge and inspire change. We believe human beings have a right to be treated as equals and that any unnecessary division based on gender, identity and physical appearance has the potential to be damaging. If that makes us ‘feminists’ – wonderful.